Deutsche Bank and Commerzbank confirmed on March 17 they were in talks about a possible merger. Germany's two largest banks by assets issued short statements following separate meetings of their management boards. "In light of arising opportunities, the management board of Deutsche Bank has decided to review strategic options," Deutsche said. In a letter to staff, Christian Sewing, Deutsche Bank's chief executive, said that Deutsche still aimed "to remain a global bank with a strong capital markets business ... with a global network". Sewing said many factors could still prevent a merger, and a Deutsche spokesman said the talks were expected to last some time. Commerzbank described the outcome as open. 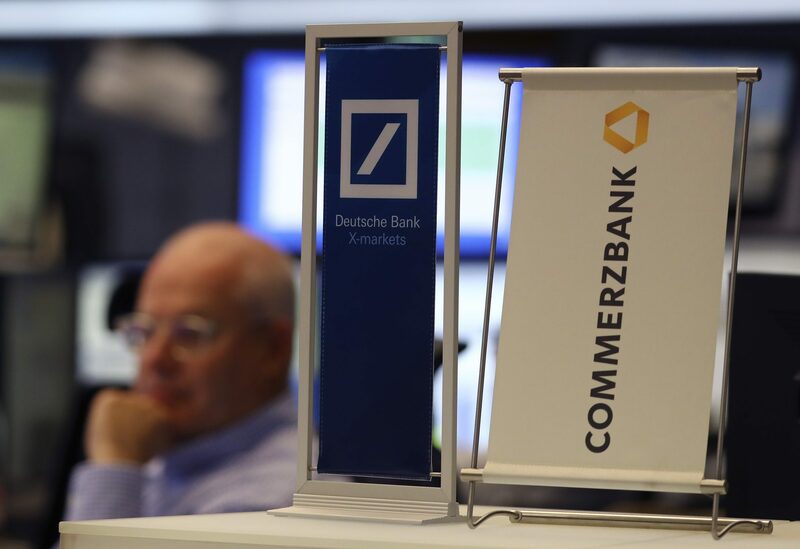 Shares in Deutsche were up 3 percent to 8.08 euros by 0900 GMT on March 18 while Commerzbank shares rose 5.4 percent to 7.53 euros.